Canada’s pet food industry needs a giant overhaul and nobody is willing to deal with the issues including the CFIA (Canadian Food Inspections Agency, Animal Divison). My cat was recently diagnosed with diabetes at nearly 10 years of age. 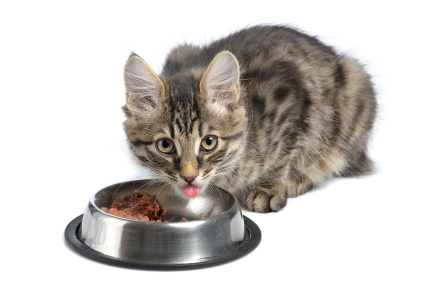 In doing a lot of research, it’s been made clear that the foods that our cats and dogs eat nowadays, are largely a culprit in this disease as well as in chronic kidney disease. Yet, we have little choice in our pet food selections in Canada to choose from short of veterinarian prescribed and over-priced “prescription foods” sold by them, produced by Hills, Purina and Royal Canin. In wanting to start off my kitten’s life properly, I intently listened to her vets from the day that I got her and started feeding her the usual recommended foods produced by Hills and Royal Canin. After all, what does a lay person know when it comes to pet nutrition by comparison to the pet’s vet? Hills Science Diet prescription formulations were tooted as “the best” on the market and I was told that anything commercially made, would result in big troubles down the road. So, with that in mind, I set out to feed my kitten (as well as my dogs), Hills Science Diet formulations, made by Hills. Later, rather than sooner, every single pet I’ve had, has ended up with some sort of a disorder or health issue by comparison to those I’ve had who have been fed nothing but, “supermarket level” canned foods or kibbles. Two of my cats were diagnosed with diabetes, while all 4 of my dogs had dull coats and were eventually all diagnosed with either pancreatitis or cancers. Can I say with 100% certainty that it was Hills foods that caused these issues? No…at least not with anything other than circumstantial evidence. There is no proof and I am waiving all liabilities by saying so here and now. However, I was told that my cat’s fur was “lacking in something” by 2 vets and was cautioned most harshly to feed her Hills Science Diet with a bag swiftly plucked from the vets’ shelves in almost commercial like motions on several different occasions. When I told each of the vets that she had been on it since Day 1, their faces turned a few lovely shades of red and even some wile pretty purples. Since then, she and another cat I previously had, has been diagnosed with diabetes and, in wanting help my pet to the best of my abilities, I’ve taken a far more pro-active role in her health by doing a lot of research, talking, question asking and searching. What my travels in education have revealed is that cats are “obligate carnivores” and do not drink much water, even if we see them at the water bowls we leave around our homes for them. 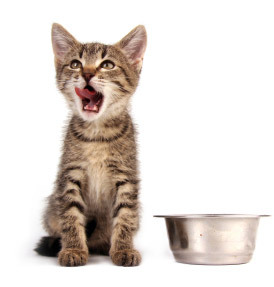 Kibble is not a good food for any cat as the moisture content is far too low and can create issues for other reasons, within their urinary tracts. Most of all, most kibble is above and beyond the carbohydrate needs and the ability of the feline body to deal with it. Eventually, there is a good likelihood that cats will develop either diabetes, urinary tract issues or chronic kidney failure. Yet, vets are very quick to hand over bags of the stuff as long as it’s produced by Hills, Purina or Royal Canin. Once a pet has been diagnosed with a health condition such as one of the above, the prescription formulas from the very same manufacturers are then prescribed. It feels almost as though the companies producing these expensive foods, sold solely by vets, are the ones that create the health issues then, the prescription formulas from the very same companies are the ones that are supposed to help it. What’s wrong with this picture? In the past 2 months of researching, I’ve seen that the U.S. has a great number of pet foods on the market that Canadians just cannot get in this country. Low carbohydrate foods with higher non-plant based proteins can only be gotten in canned or prescription formulas here. Yet, the U.S. has access to not only more than double the amount of choices in canned foods but, also to several low carb kibbles for cats who are considered, “Kibble Addicts”. These foods are not sold by vets and can be bought commercially however, even were one willing to drive to the U.S. to stock up on these foods for their diabetic cats, Canada will not allow them to be carried across the border. The producers of Young Again Zero, the ultra low carb kibble, can only be bought online only but, with a shipping fee to Canada of $32 U.S., a 6 lb bag being $54 U.S., duty and HST (Canada’s sales tax at 13%), who can afford to do it on top of insulin, testing materials, vet fees and other things needed to save a special needs cat? Innova EVO kibble is said to be second best behind Young Again however, in a call to Mars, the manufacturers of EVO, customer service has said that Mars had made the decision to “discontinue shipments to Canada” as the profit margins are too slim. Where does that leave us as consumers with pets with health issues who require these types of low carb foods? Squarely back into the grips of the companies that we started off with and possibly, though not provable, may have been the cause of the issue in the first place. One can gather a conspiracy theory that Canada has somehow been “bribed” by these big U.S. based companies so that it’s nearly impossible for other manufacturers to produce foods that would compete against the 3 big vet endorsed manufacturers of Hills, Purina and Royal Canin. One might also conclude that the lack of ability for commercial pet food manufacturers to label their foods so that consumers might have a chance of deciding between commercial products or vet prescribed products from “the big 3”, has been limited greatly. It’s ironic that Hills, Purina and Royal Canin can label their foods as foods for diabetes or kidney diets but, there’s no chance for other companies to be allowed to make the same claims in their marketing. There is nothing prescription worthy in corn, corn gluten, corn meal, chicken by-products, brewers yeast or brewers rice nor, is it healthy for cats as carnivores. Yet, The Big 3 companies have somehow managed to grab the prescription labels and market these foods as desirable for these health issues. Hard to believe but, true. In a large study, it was proven that cats put onto what one would consider the lowest grade foods such as Fancy Feast, 9 Lives, Friskies and a few others that can be bought at any supermarket or corner store, diabetic cats have actually lowered their blood glucose levels with some requiring no insulin or just short terms of it. Others have gone into complete remission on them as long as they are continually fed. What is that saying? It’s telling lay persons that they needn’t spend the huge bucks on the prescription formulas that their vets will push and to feel good about what the alleged lower quality foods are doing for their diabetic pets. In belonging to a group that follows a vet who devoted her life’s work towards helping diabetic cats, called Feline Diabetes, it’s been clear that Canada has fallen behind the 8-ball in its pet food industries and that the Canadian governments have been lax in helping Canadian pet food manufacturers not only produce quality and suitable foods but, it’s helped STOP the production and marketing of quality foods that meet the same criteria as the prescription formulas and even causing U.S. producers to pull out of the Canadian Pet Food Market, leaving pet owners and lovers with quite the quandary, expense and upset over their beloved pet’s health conditions which may have been produced by improper foods. Much like the big pharmaceutical companies that court our physicians towards their prescriptive medications, it appears that the pet food industry in Canada may have also become tainted by the Big 3 companies with brainwashing veterinarians into believing that their foods are the only foods that can be fed to pets healthfully. Nothing could be further from the truth as some research shows. In wanting to help my pets, it seems that something is amiss in the Canadian Pet Food Industry that needs to be looked at in-depth as well as the government agencies that oversee this issue. It is a lot of pet owners who wish that vets would take the time to educate themselves beyond what they were taught in vet college or through the big 3 pet food companies and realize that what they are being sold to sell their patients, may also be the very same foods that are making these pets ill. It’s time for vets to stand up and recognize that their pockets needn’t be lined by the big 3. If they want to sell us foods, there should be other companies allowed that chance as well. These vets can still sell from their shelves but, it needn’t be prescription only foods nor, need it come from Hills, Purina or Royal Canin just because they have the best marketing skills with vets. From my little corner of life right now, I see vets as needing to learn more about nutrition beyond the Big 3’s sales pitches, quit worrying about their wallets and stop pushing the prescription formulas. I also see that vets need to step up to the plate, become involved in what is manufactured and help develop more nutritious as well as cost effective foods for pets and pet owners. 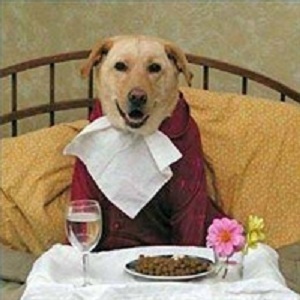 More than anything, it’s high time that the Canadian governments encouraged pet food manufacturers to come up with commercially similar and available foods that can be used by special needs pets. I may be dreaming but, the dollar isn’t the only important thing in Life. Love is strong and the want to keep that love in our lives is by far, much more valuable than the money the Big 3 make off of their prey. I wonder if the industry has improved yet? It doesn’t sound at all sustainable, since it means that there’s less competition and that there’s little to no way for small independent manufacturers to sell their food in a way that will make a profit if the vets are recommending foods which may not be good for the cats or any other animals. Competition in manufacturers means that there’s more variety for the consumers as well as allowing then to make decisions from what they know to be good. Gem, I totally agree with you. There’s been no update as to this industry and the vet’s hold the monopoly up here on what can and can’t be sole or how it is marketed. It’s all contingent upon the “Big 3” (Hills, Royal Canin and Purina) and what they sell to the vets. It’s all “corn” based and the smaller companies don’t stand a chance of being able to market their products in a different manner than what the grocery stores or Walmart does. It’s a shame because it takes a savvy pet parent to know the proportions, ingredients, formulas and other things in order to break it all down. Vets go along with the Big 3 because it’s what they are schooled to believe in small and short classes on nutrition. Bless the vets who go on to study nutrition on their own. There’s few of them out there. Thank you, Cathy. We do get SOME American foods up here but, it seems that the bottom lines now for pet food manufacturers are lining their pockets. 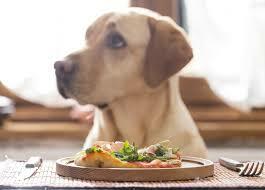 If a pet food doesn’t sell well enough, they discontinue making it/shipping it to Canada. That’s creating a HUGE issue for those of us with pets with “special needs” in having to rely upon vet prescription foods which are not always the best of ingredients and cost a real fortune! I would deal with the cost even if I had to take another job but, the quality of it is no better than commercially produced foods. It’s sad that once we get our pets onto foods that work, they suddenly decide not to make it anymore. This is where pet food manufacturers need to step up to the plate and deal with whatever they have to do to produce quality foods for special needs…BESIDES the Big 3!